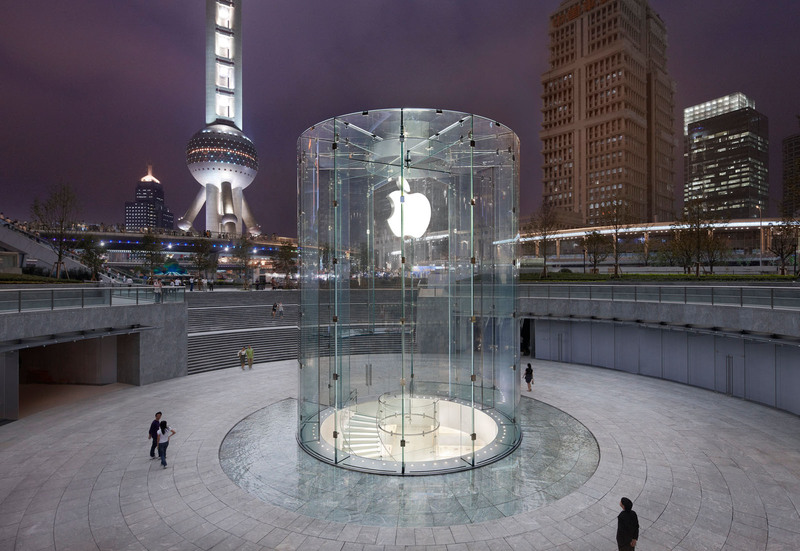 Located in the Pudong district in Shanghai, China, this Apple Store is the first Shanghai store for Apple Inc. Designed by Bohlin Cywinski Jackson Architecture, who also designed the iconic Apple Store Fifth Avenue New York, the entrance to the store is marked by a large glass cylinder thirty-two feet high. The glass structure sits in a large urban plaza below a circular sunken court. Once visitors enter the cylindrical entry, they then descend to the store below the plaza on a spiral glass staircase. 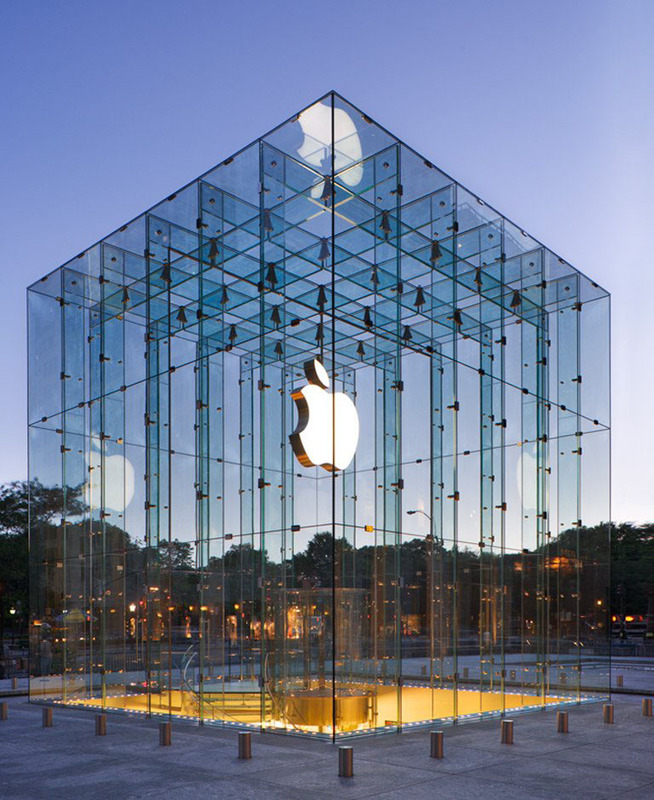 Located at the General Motors Plaza in New York, the entrance to the Apple Store on Fifth Avenue is an iconic self-supporting glass cube. Designed by Bohlin Cywinski Jackson Architecture, this 32-foot glass structure is entirely free of structural steel. Once you enter the store from the plaza level, a glass elevator with a glass cylinder — which is wrapped by a circular staircase — takes you to the underground main level. The glass cube brings plenty of natural light underground. At night, the cube is lighted, creating an elegant glow.